If confirmed by the Senate, President Obama’s nominee to lead the U.S. Department of Justice, Loretta Lynn, will inherit many challenges situated at the forefront of the White House’s national agenda. The Dept. 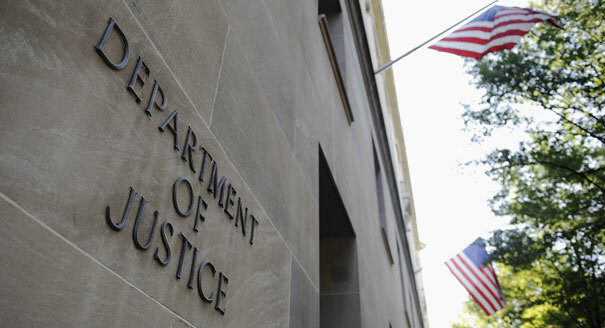 of Justice (DOJ) under the Obama administration has been quite active, and many of its activities have garnered much attention, as well as much opposition throughout his presidency. This is not unexpected. However, if she survives confirmation, Mrs. Lynn will then have to contend with several sets of galvanized and highly organized business opposition groups, created through their acrimonious relationship with her immediate predecessor. The way in which she manages these diverse and highly vocal coalitions within the first few months of her confirmation, will perhaps determine her ability to meet the White House’s national objectives for the agency. During his tenure as Attorney General (AG), Eric Holder was immediately confronted with challenges which did not appear on the docket of most of the past Attorneys General. Holder’s DOJ inherited the challenging responsibility of delivering justice to those individuals most responsible for contributing to the nation’s economic recession of 2008. This economic crisis was the greatest that the country had seen since perhaps the Great Depression of the 1930s. Bringing justice to those individuals most responsible for the onset of this crisis called for Holder to open investigations against financial institutions, those involved in insider trading schemes, financial fraud, etc. As the nation’s top prosecutor, Holder was also entrusted to ensure and enforce compliance with the major financial reform legislation known as Dodd-Frank. Cognizant of the nation’s largely inadequate financial regulatory apparatus, Congress in 2010 passed the Dodd–Frank Wall Street Reform and Consumer Protection Act, in order to bring more stability to a powerful industry whose operations had a significant influence on the overall health of the nation’s economy. Not only was Holder challenged from the economic sector, he also was confronted with a proliferation of racial issues. Holder has a strong legal background in dealing with race-related matters as he dealt with many civil rights cases as both a private attorney, and as an attorney for the government. Nonetheless, he experienced the difficulty of handling race-related episodes outside of the courtroom. Holder, a natural introvert, was not only uncomfortable with being on the center stage, but his aversion from the public spotlight also came across by some as a sense of indifference. Although this may not be the case, in politics, if one does not articulate their points clearly and often, then their political opponents will do so for them – and in their own words. Undoubtedly, Loretta Lynn will also be expected to enforce compliance with Dodd-Frank. Though she will receive significant industry push-back in these areas, her background in successfully managing case-loads dealing with prosecuting financial institutions and organized crime, attests to her ability to effectively deal with the political components inherit in the role as AG. As was the case with Eric Holder, Lynn’s actions on race-related cases such as the DOJ’s open investigations of the deaths of Eric Garner and Michael Brown, will also be closely watched. These two African-American men were unarmed and killed by White law enforcement officials. In both situations, the officers involved were not indicted for the deaths they caused. Many individuals across the country have come to feel as if there is a separate legal system for Black Americans which is very distinct from that for White Americans. Lynn’s actions with cases of this nature will play a pivotal role in how effective her relationship with Black groups and other civil rights-related organizations will ultimately become. Another issue of major concern that the Obama administration has increasingly sought to devote much more attention to, has been gun-control. This issue has become especially salient in recent years due to the proliferation of high-profile incidents involving gun-related violence across the nation. For instance, within the past six years, we have witnessed the shooting rampage at Sandy Hook, the shooting of a member of Congress in Tucson, the shooting at a showing of the movie Batman in Colorado, etc. Clearly something must be done in order to address what is increasingly shaping-up to resemble a trend in these gun-related incidents. However, what exactly can be done will ultimately depend upon Lynn’s own political prowess and determination. The nation’s gun lobby has been especially active in recent years. The increasing number of high-profile cases involving gun-related violence has also increased the number of those willing to challenge the gun lobby for influence over legislative action dealing with gun-control and regulation. The DOJ under Eric Holder has also pledged to continue fighting to defend and restore the integrity of the Voting Rights Act (VRA) of 1965. In 2013, in the case of Shelby County v. Holder, the U.S. Supreme Court struck down a key provision of the VRA, citing that the legislation had achieved its main purpose. This ruling effectively allowed several states with past histories of racial discrimination and election malfeasance, to change their election laws without advance federal approval. As the nation’s AG during this ruling, Holder articulated his disappointment with the Supreme Court’s decision, and also his intention to seek to fully restore this key provision. How successful the DOJ will be in this endeavor moving forward however, will ultimately depend on Lynn’s own perseverance. Many of these issues will be raised in her conversations with Senators as she makes her customary rounds of introduction throughout Capitol Hill. Though she was previously appointed by President Clinton to serve as a U.S. Attorney in the Eastern District of New York, she is still largely unknown to federal legislators. It will be important for Lynn to not only make a significant first impression upon members of Congress throughout her confirmation process in order to promote her approval, but also because it will be beneficial to have key Congressional support as she moves forward into her pending role as the next U.S. Attorney General.